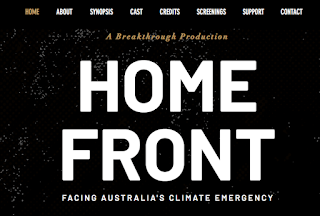 Home Front explores how climate change is inexorably linked to our national and regional security, and how the relationship between climate disruption and conflict will be the predominant force shaping the social, political, and economic world of the 21st century. 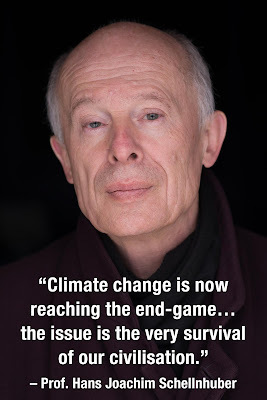 A hotter planet has already taken us close to, or past, tipping points which will generate major changes in global climate systems such as the oceans, polar sea ice and ice sheets and large permafrost carbon stores. These impacts include a hotter and more extreme climate, stronger storms and cyclones, drought and desertification, and coastal inundation. 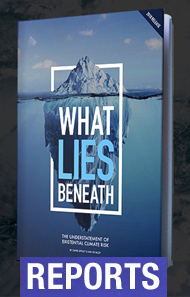 The film explores how climate change impacts basic resources such as food and water, which allow human societies to survive. Scarce resources, declining crop yields and rising prices become catalysts for conflict. This makes climate change a key component in international relations as it aggravates pre-existing problems to function as a “threat multiplier”, causing escalating cycles of humanitarian crises, political instability, forced migrations and conflicts. 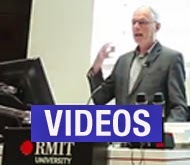 The global scientific community has reached broad consensus on climate change - but its social consequences, and how we will deal with them, highlight our failure of imagination.